Full Disclaimer: all of my prayers haven't been answered. I have experienced sudden, miraculous answers to prayers. Other answers came quietly, through unexpected channels. I have also received the response, "No," to some prayers. But there are prayers for which no answer has yet arrived. Still I pray. Still I stand at the door. Still I knock. What's the deal? Is there a problem with God? Is He not listening? Maybe the problem is mine? Do I not deserve a response? Since I knew there was no problem with my omniscient, omnipotent, eternal Heavenly Father, I assumed for many years the problem must be, by default, me. That conclusion doesn't line up with Scripture, however. Jesus didn't heal the sick in the New Testament because they paid penance or proved their worthiness. He didn't die for me because I deserved it. No one deserves Jesus's love, but He gives it anyway. So, if the problem isn't God, and my problems don't stop Him, what gives? This might not be as much as a revelation to you as it was to me, but I eventually figured something out: God isn't on the same timetable as me nor hampered by the same short-sightedness. When I evaluate a problem, I am doing well to consider the second and third level effects to my circumstances. But Jesus sees deep into the infinite well of effects that flow from one action onto another. And like dominoes that set off a chain reaction, He is lining things up beyond my imagination or comprehension. John Piper tweeted in 2012, "God is always doing 10,000 things in your life, and you may be aware of three of them." He went on to add in a blog post in 2013, "Not only may you see a tiny fraction of what God is doing in your life; the part you do see may make no sense to you." So, I am unaware of all that God is up to in my life, and what I do see can confuse me. Okay then. What should I do? Quitting prayer doesn't line up with Scripture, anymore than trying to earn an answer does. Jesus prayed consistently through the Gospels. He left people who needed help to go by Himself into the wilderness and pray. He sought that relationship with His Father. He prayed up to and while on the cross. He never stopped praying. I love this picture of prayer. Prayer can be compared to knocking at the door, because it assumes Someone is home to answer. I need help, and the One Who opens the door is the only One Who can provide it. I've learned some truths, while hanging around God's door. Knocking, and waiting for answers could sound lonely and intimidating. But here lies another amazing example of God's love for His people: while He may, for reasons of His own, tarry with answers, He doesn't leave us cold and alone on the doorstep. Knocking on His door correlates to sweet fellowship in the presence of my Abba. There is no better place to be than His door. ---Standing at the door, knocking, and talking to Jesus is better than any other accomplishments I might have completed with the time. 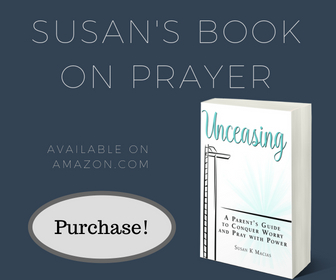 The advantage of unanswered prayer is that I NEED TO KEEP PRAYING, which means I need to stay close to Jesus and talk to Him. I concentrate on Jesus at the door. ---Jesus IS the door I am knocking on. Praying long, hard, and continually, means I am WITH my Door. If I received what I needed/wanted and then walked away, I could lose my reminder to spend time with Jesus. I would rather have unanswered prayer and time with Him, than no needs and no time with Jesus. I remain protected at His door. ---The blood of the Exodus in Egypt is a direct picture of Jesus' blood covering our lives. Just as the Israelites were protected from the angel of death by the shed blood of the lamb, so believers are saved by the shed blood of the Lamb. There is something about my time at the door knocking, as I am surrounded by the blood of my Lord on the doorposts, that cleanses my heart and mind. Standing there is the safest spot in the universe. I gain protection from sin at the door. ---If I quickly receive an answer and then skip off in my own power, I can be unprepared for the waiting enemy trying to overtake me. But time at the door with Jesus changes my heart and heightens my senses. I am more aware of issues and emboldened to fight the good fight. I have opportunity for ministry through His door. ---I want to build the Kingdom and be about my Master's work, but I don't want anyone to be confused on Who has the power and ability. Extended knocking-time trains my ideas to wait on Him to open whatever doors He desires for ministry. It also proclaims to all observers that I trust HIM, not myself. He gets the glory, as I walk through the doors He opens. His door provides perfect answers which glorify His name. ---When the Lord does open the door with an answer, none will be able to stop Him. God knows I have little power, even if I don't want to admit that. Nothing can stand against His might. Time at the door has trained my heart to prefer His perfect, powerful, unstoppable solution. I enjoy sweet fellowship at the door. ---The Lord calls me to knock on His door, which He promised to open. But, in extravagant grace, He also knocks. He doesn't just want me to seek Him, He comes after me. He desires fellowship with me. I can hardly contain my amazement at His all-encompassing love. 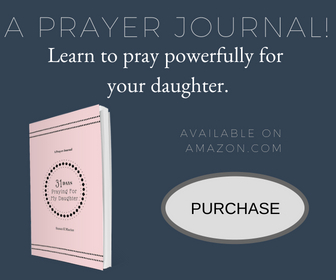 Do you have unanswered prayers? Take it from an old door-knocker, that can be the sweetest place. God calls us to persistently petition Him, so let's get excited about the opportunity that gives us to stand in His presence. So stand at the door and knock. Hang out with the Father. Pour out your heart. Rest in His sufficiency to answer completely, correctly, and at the right time. There is no better place to be. Next week we will look at specific parables Jesus gave us to encourage us to keep praying- just as He kept praying.